Your goal: To lead a healthy lifestyle that doesn’t deprive you of the best things in life (and sure, maybe even drop a few pounds in the process). But navigating the world of diets, detoxes and cleanses is no easy feat. 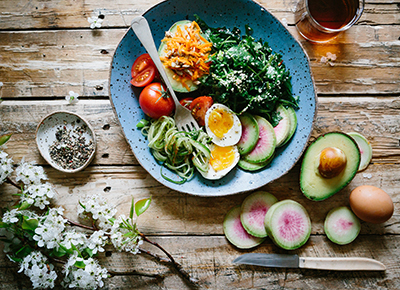 That’s why we checked in with three nutritionists to get their take on the healthy eating plans that are worth subscribing to—and the ones you should stay far, far away from. “The Mediterranean diet is based primarily on whole plant-based foods, including vegetables and fruit, as well as whole grains, legumes and nuts, with small amounts of animal products (primarily seafood). Butter is replaced with heart-healthy olive oil, red meat is limited to no more than a few times a month, eating meals with family and friends is encouraged and wine is allowed (in moderation). Studies suggest that this style of eating improves cardiovascular health and is associated with a reduced risk of cardiovascular death, certain cancers, certain chronic diseases and overall mortality. Extra bonus? It’s also easy to eat this way at many restaurants.” – Maria Marlowe, Integrative Nutrition Health Coach and author of "The Real Food Grocery Guide"